Momentum is something people often underestimate in leadership. Business is moved to greatness through momentum. We we see momentum building we should do all we can to create an environment to allow it to flourish. Things can happen quicker, more creative things done, people will reach more potential during times of great momentum. Foster an environment to create momentum in your business and team. Do so with compliance and integrity and watch what can happen. Momentum is more than moving forward it is moving at a pace that is faster than you can go by yourself. One key to momentum is the joy that must be embedded in the journey. Joy, fun, excitement, passion, these are part of what takes us toward quicker results. When we have a meeting with someone who is passionate about what they say. A person who has joy on their face and love in their hearts. We see it all over their countenance and we feel their electric personality coming through. We all can be this type of person when we tap into the purpose of our lives and we are excited about that purpose. I know there are several subjects that I can talk about like Finances, family, leadership, helping others, that just get my juices flowing. I will light up like a Christmas tree. Writing is one of those passions that I am developing in my life. Monument will cause things to happen in ways we never imagined. 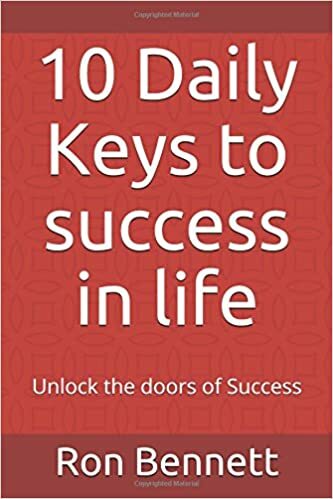 I am filled with excitement as I write this book and the passion inside of me is leaping, jumping at the possibility of helping someone become successful. Does the activity you are involved in cause great passion inside of you? If it does not then when we reach those times of decision when it seems we are about to fail we will give up instead of push forward into success. As I finish this topic I want you to understand momentum must be with the leader more than those following. I am sure at this point if the leader is not filled with passion and desire then those following will never caught the vision or never create momentum. Imagine the picture we have all probably seen of the man pushing the boulder up the hill. Just like the man we are pushing the boulder up the hill but if we do not create and keep momentum it will come back to crush us. When we use momentum to push the boulder over the peak of the mountain we are climbing we see it pick up momentum faster than we ourselves could ever create alone. The facts are this is life we are pushing to get our ideas or business off the ground pushing it up the hill. It takes incredible effort and selling out to see it reaches the top. At some point we will feel like we are not going to make it but we keep pushing. People who see this passion inside of us will come along the journey and when we have them helping to push it’s just a little quicker, but not easier. Then we have another come along till soon we have reached the top and then it is like a thousand people are pushing as it rolls quickly. Our business if properly done will have this process and we are responsible for being the main momentum creator. This may be re-posted or quoted, thank you.